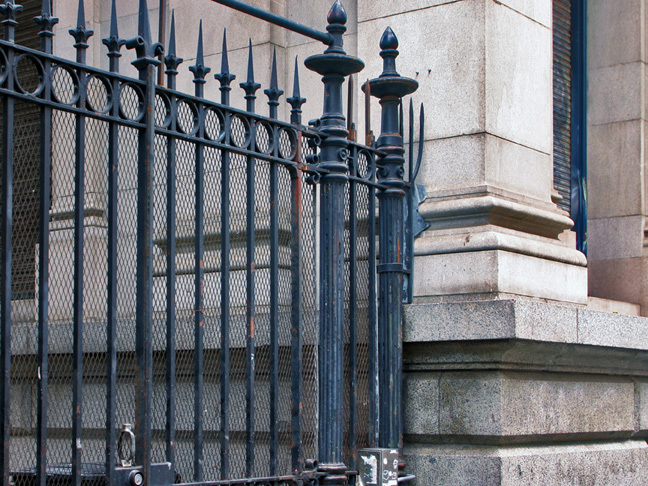 Hibernia Bank Building, 1 Jones Street. 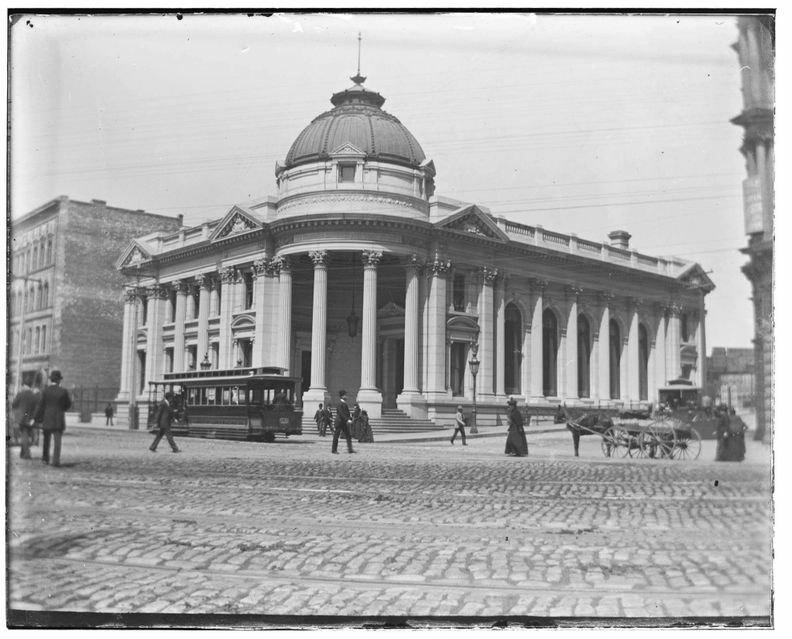 Hibernia Bank at Jones and Market, c. 1890s. 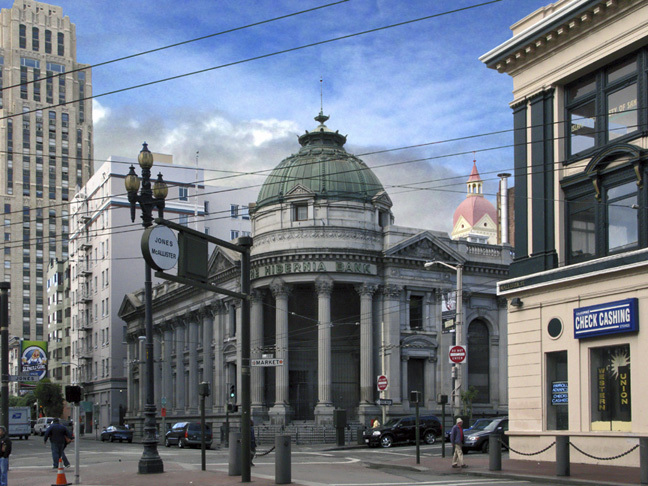 The Hibernia Bank was first organized in April 1859, in a little office at the corner of Jackson and Montgomery. Among the first depositors were Irish miners who had struck pay dirt in the California goldfields to the north. 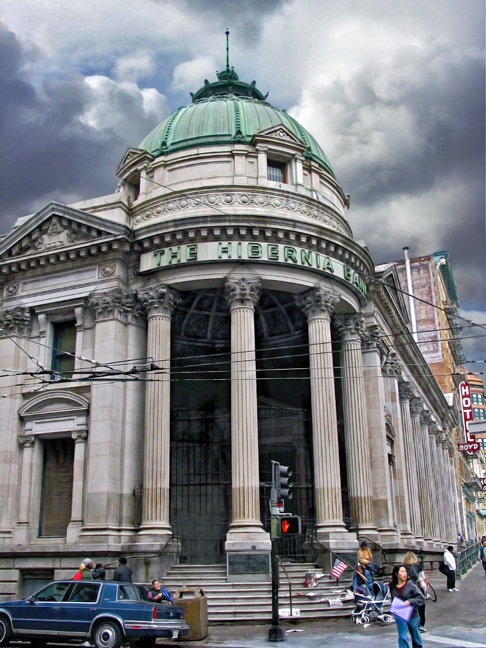 The Hibernia Bank accepted the miners' unminted gold and earned a reputation among them for courteous and efficient transactions, and eventually became known as "the people’s bank." 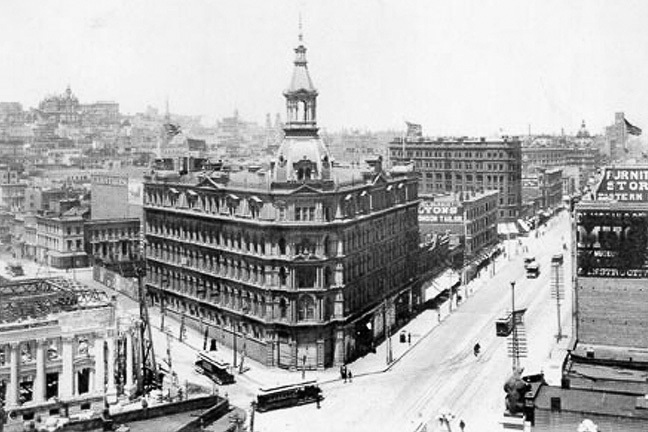 Business increased apace and before long the bank moved to more spacious quarters at Montgomery and Post, but the institution’s extraordinary growth over the next two decades eventually demanded another change. Indeed, so famous was the building that San Franciscans called it "The Paragon." 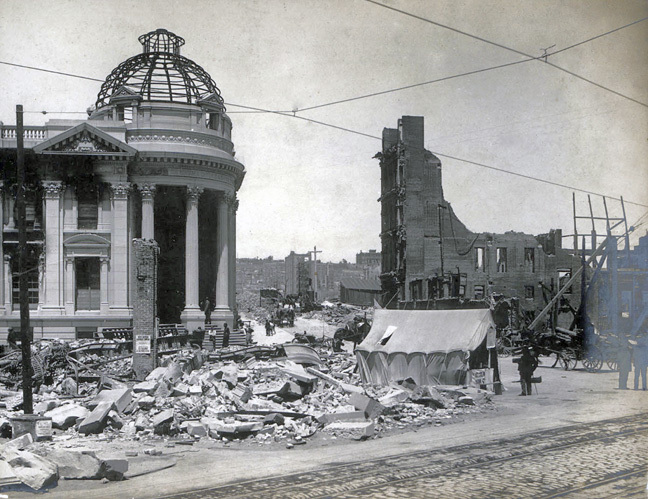 The Hibernia Bank was one of the few buildings in the central city to survive the 1906 cataclysm, although it was damaged by the fire. 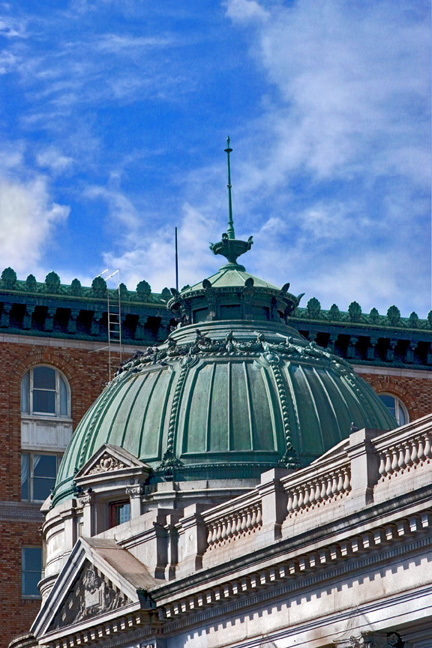 As one of the City’s most popular and vital institutions, it was also one of the very first buildings to be restored. Illustration, San Francisco Call, 15 September 1892. Shortly after the new bank building was completed, the San Francisco Call asked twenty San Francisco artists, "From an artistic point which building do you think the best?" Fourteen of the artists named the Hibernia Bank Building; the Mills Building came in a distant second with four votes, followed by the Crocker and Mutual Life Buildings with one vote apiece. 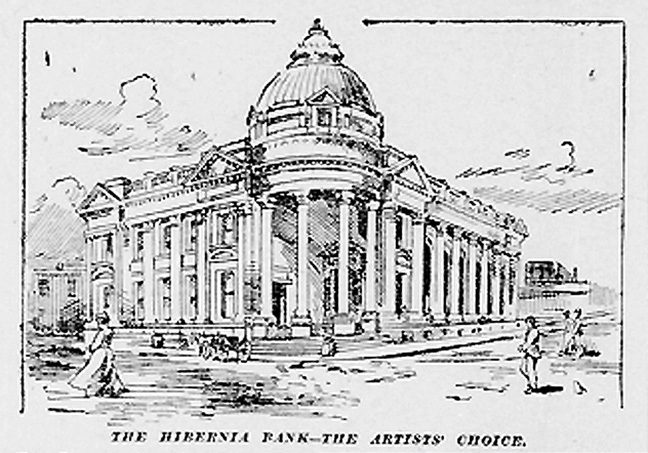 The results of the poll were published in an article that declared the Hibernia Bank was "The Most Artistic Building in Town." 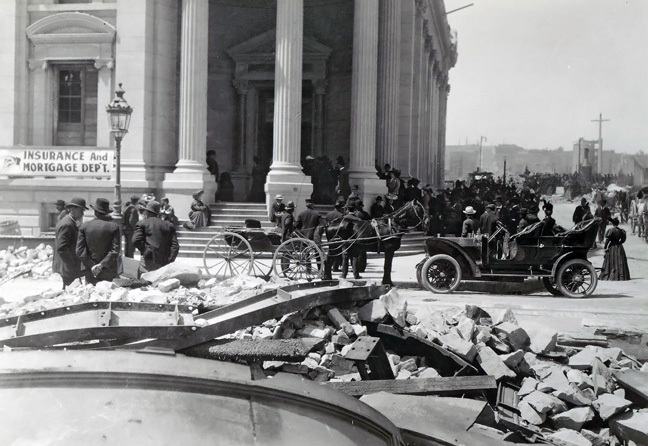 Fire-damaged Hibernia Bank, 1906. The pile of rubble in the foreground is all that remained of the Callaghan Building; on the right are the ruins of the Murphy Building. 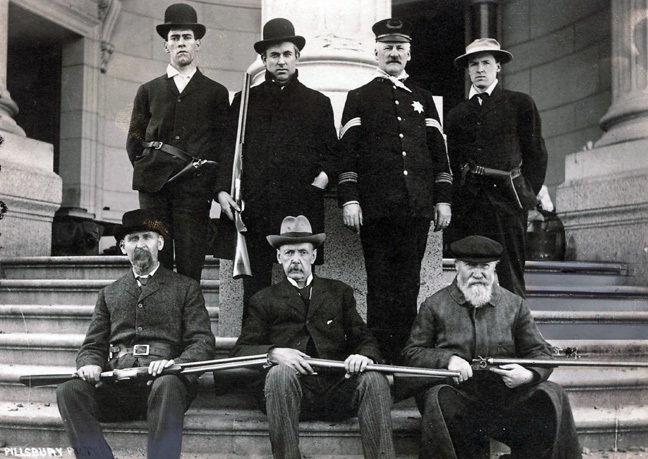 Officers and employees of the Hibernia Bank, 1906. Clearly none with whom to trifle, these gentlemen protected the Hibernia's compromised bank vaults during the height of the fire.